Nonlinear Estimation: Methods and Applications with Deterministic Sample Points focusses on a comprehensive treatment of deterministic sample point filters (also called Gaussian filters) and their variants for nonlinear estimation problems, for which no closed-form solution is available in general. Gaussian filters are becoming popular with the designers due to their ease of implementation and real time execution even on inexpensive or legacy hardware. The main purpose of the book is to educate the reader about a variety of available nonlinear estimation methods so that the reader can choose the right method for a real life problem, adapt or modify it where necessary and implement it. 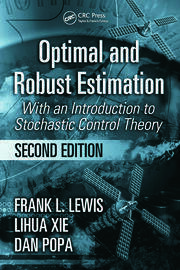 The book can also serve as a core graduate text for a course on state estimation. 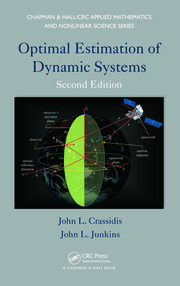 The book starts from the basic conceptual solution of a nonlinear estimation problem and provides an in depth coverage of (i) various Gaussian filters such as the unscented Kalman filter, cubature and quadrature based filters, Gauss-Hermite filter and their variants and (ii) Gaussian sum filter, in both discrete and continuous-discrete domain. 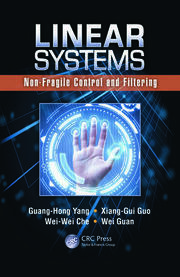 Further, a brief description of filters for randomly delayed measurement and two case-studies are also included. The book covers all the important Gaussian filters, including filters with randomly delayed measurements. Numerical simulation examples with detailed matlab code are provided for most algorithms so that beginners can verify their understanding. Two real world case studies are included: (i) underwater passive target tracking, (ii) ballistic target tracking. The style of writing is suitable for engineers and scientists. The material of the book is presented with the emphasis on key ideas, underlying assumptions, algorithms, and properties. 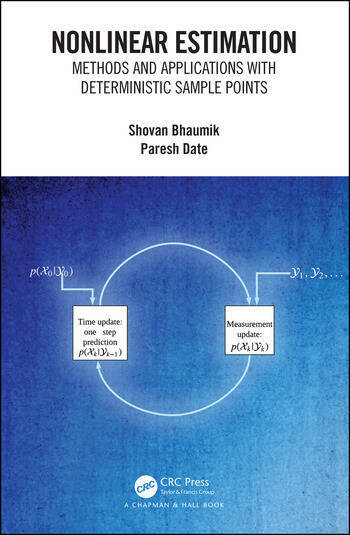 The book combines rigorous mathematical treatment with matlab code, algorithm listings, flow charts and detailed case studies to deepen understanding. Author Bios. Preface. List of Figures. List of Tables. Abbreviation. Introduction. The Kalman lter and the extended Kalman filter. Unscented Kalman filter. Filters based on cubature and quadrature points. Gauss-Hermite filter. Gaussian sum filter. Quadrature filter with randomly delayed measurements. Continuous-discrete filtering. Case Study. Bibliography. Index. Dr Shovan Bhaumik was born in Kolkata, India, in 1978. He received the B.Sc. degree in Physics in 1999 from Calcutta University, Kolkata, India, the B.Tech degree in Instrumentation and Electronics Engineering in 2002, the Master of Control System Engineering degree in 2004, and the PhD degree in Electrical Engineering in 2009, all from Jadavpur University , Kolkata, India. He is currently Associate Professor of Electrical Engineering Department at Indian Institute of Technology Patna, India. From May 2007 to June 2009, he was a Research Engineer, at GE Global Research, John F Welch Technology Centre, Bangalore, India. From July 2009 to March 2017, he was an Assistant Professor of Electrical Engineering Department at Indian Institute of Technology Patna. Shovan Bhaumik's research interests include nonlinear estimation, statistical signal processing, aerospace and underwater target tracking, networked control systems. He has published more than 20 papers in referred international journals. He is a holder of Young Faculty Research Fellowship (YFRF) award from ministry of Electronics and Information Technology, MeitY, Government of India. Dr Paresh Date was born in 1971 in Mumbai, India. He completed his B.E. in Electronics and Telecommunication in 1993 from Pune University, India, his M.Tech. in Control and Instrumentation in 1995 from the Indian Institute of Technology Bombay (Mumbai), India and his doctoral studies in engineering at Cambridge University in 2001. His studies were funded by the Cambridge Commonwealth Trust (under Cambridge Nehru Fellowship) and the CVCP, UK. He worked as a postdoctoral researcher at the University of Cambridge from 2000 to 2002. He joined Brunel University London in 2002, where he is currently a senior lecturer and Director of Research in the Department of Mathematics. Dr Date's principal research interests include altering and its applications, especially in financial mathematics. He has published more than 50 refereed papers and supervised 10 PhD students to completion as their principal supervisor. His research has been funded by grants from the Engineering and Physical Sciences Research Council, UK, from charitable bodies such as the London Mathematical Society, the Royal Society and from the industry. He has held visiting positions at universities in Australia, Canada and India. He is a Fellow of the Institute of Mathematics and its Applications and an Associate Editor for the IMA Journal of Management Mathematics.